The word science is a noun. Science means (1) ability to produce solutions in some problem domain, (2) a particular branch of scientific knowledge. The following articles and web pages elaborate on the word science. Science Update is a produced by the American Association for the Advancement of Science. It is a daily, 60-second radio feature covering the latest discoveries in science, technology, and medicine. On the website, users can listen, download, or get a transcript of stories. There is also a link to a science update classroom feature, and a place for users to enter a science question. Science Magazine is published by the American Association for the Advancement of Science. Science has the largest paid circulation of any peer-reviewed journal. Along with Nature, a British publication, it is one of the few journals to deal with scientific topics from all fields. The website provides selected material free; complete information and full access is by subscription. The American Association for the Advancement of Science (AAAS) was founded in 1848 and publishes the journal Science, which has a readership of 1 million. The website describes what iAAAS does, how to join, its organization, and programs and other publications. The NSF is an independent federal agency created by Congress in 1950 to promote the progress of science, advance national health, prosperity and welfare, and to secure the national defense. The Foundation supports all fields of fundamental science and engineering. On the website, users can find news, information about funding, awards, discoveries, publications, statistics, and more. Science is the study of nature and the physical universe by means of observation and experimentation techniques. This science portfolio illustrates scientists at work in laboratories using scientific equipment. The Christian Science Monitor is a national daily newspaper founded by Mary Baker Eddy in 1908. This website is the online edition. There is only one religious column a day, as requested by Eddy. The rest is independent national and international news that uses for sources their own reporters around the world rather than just AP and Reuters. Print and online subscriptions can be ordered. LiveScience is a science news website produced by the Imaginova Corporation. The site covers science news, complex scientific questions, and ideas. The site is searchable by subjects: space, animals, health, environment, technology, history, strange news and other features like Editor's Choice. There is also a store where users can purchase all kinds of science related games, toys, and much more. CSIRO, the Commonwealth Scientific and Industrial Research Organization, is Australia's largest national science agency and one of the largest and most diverse research agencies in the world. 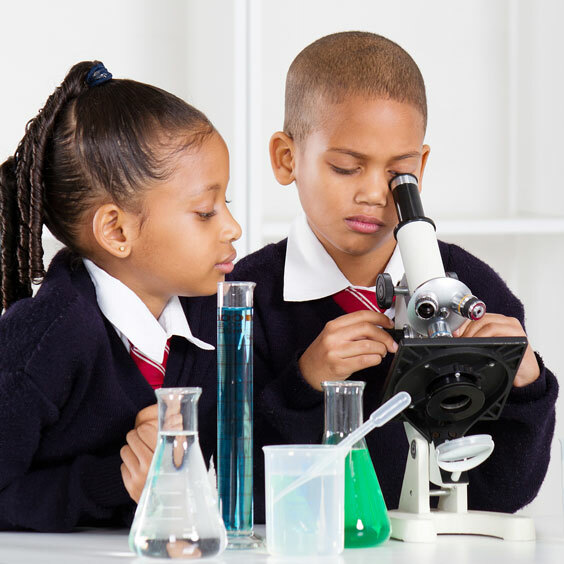 CSIRO offers educational resources for schools and at-home science for all ages. Its flagship projects include everything from space to mining and health. All described on the website. The Scientist was first published in 1986. It is a monthly magazine of analysis, interpretation, and expert opinion for active researchers in the life sciences who are interested in a broad view of science. Online readers can read the current issue for free; subscriptions allow readers to access all portions of the magazine. Readers can also register for a science headlines delivered daily. Located in France, CIRS is an international scientific organization created in 1998 to promote all aspects of science and scientific research. On the website, users can find a directory of researchers worldwide, an international directory of scientific prizes and awards and their winners, libraries and scientific bookshops, a directory of major scientific journals, and bibliographies. Operated by AAAS, the science society, this website is a place through which universities, medical centers, journals, government agencies and others can bring their news to the media. The search is by subject and the public can use all of the sites except for the Embargoed News section and the Experts section. The mission of NASA is to pioneer the future in space exploration, space science discovery, and aeronautics research. Throughout its history, NASA has conducted or funded scientific research that has led to many inventions and improvements to life here on Earth. Founded in 1901, NIST is a federal agency within the United States Commerce Department. The NIST strives to promote the nation's innovation and competitiveness by advancing science, standards, and technology in ways that enhance our economic security and quality of life. The following articles provide recent science-related news. By Gowri Chandra, Contributor. Forbes. Thursday, 25 Apr 2019 00:29:00 +0000. Bonnie Burton. CNET. Wednesday, 24 Apr 2019 21:17:08 +0000. CBS News. Tuesday, 23 Apr 2019 20:45:57 +0000. Science Daily. Tuesday, 23 Apr 2019 14:55:17 EDT. CBS News. Monday, 22 Apr 2019 23:28:46 +0000. BBC News. Sunday, 21 Apr 2019 23:41:58 GMT. Live Science. Saturday, 20 Apr 2019 12:01:00 EDT. The following pages provide more extensive science news. Recent news stories about the topic science, aggregated from diverse, English-language news sources. Recent English-language tweets that include the hashtag science. The following digital image illustrates the word science.